The first team to land a rover on the moon and meet the basic requirements will receive the $20 million grand prize, while the second team to do so will claim the $5 million second place prize. Extra monies will be handed out for exceeding the basic requirements, such as travelling extra distance, detecting water ice, and visiting Apollo sites. PT Scientists is planning to send its probes to the area where Apollo 17 astronauts explored the Moon from December 11th to December 14th in 1972. This NASA mission is notable in that it’s the last time humans visited the lunar surface. Should the PT Scientists mission be successful, it’ll be our first chance to see the state of the equipment left behind by the astronauts, namely the Apollo Lunar Roving Vehicle. The team hopes to land its probes about 2 to 3 miles (3 to 5 km) from the touch down site of Apollo 17 in the Taurus-Littrow valley. From there, the vehicles will drive to within 200 meters (656 feet) of the Apollo rover and inspect it remotely. 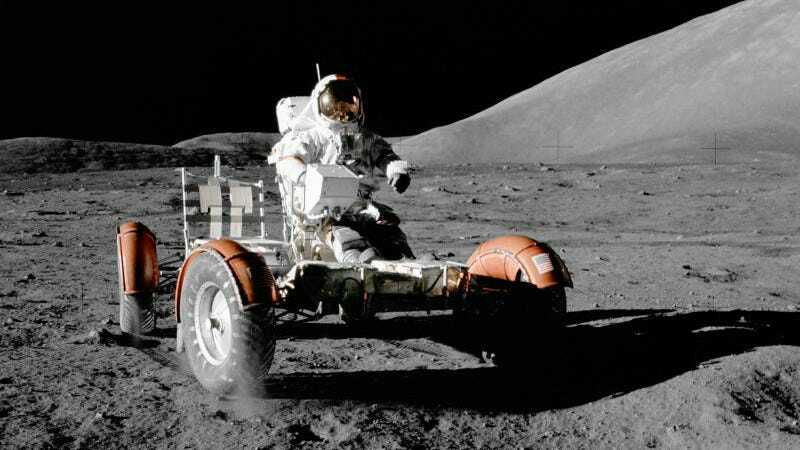 In accordance with NASA preservation guidelines, the PT Scientists’ vehicles cannot land any closer than 1.24 miles (2 km) away, and it cannot get any closer than 200 meters from the Apollo site. This is a precious heritage site, and NASA would like it preserved for posterity. From its vantage point, the probes should be able to scan the Apollo vehicle and assess its condition, including any possible damage caused by intense radiation, extreme temperatures, and micro-meteorites. The Google Lunar X-Prize requires its competitors to land their probes on the Moon in 2017, which gives us something to look forward to next year. Once the probe sends back its high-definition pictures of the lunar rover, you can happily show them to your annoying Moon Truther friends.